This year is the Operettaship program already 10 years old. During our performances we are favouring you also with wellknown stars. 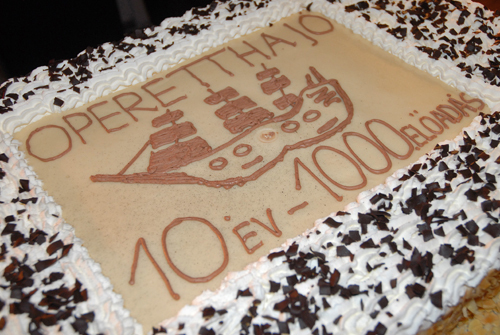 On the 5th of March 2009 we had our 1000th show, which was performed by our whole company. In this important event paticipated excellent representatives of the tourism branch.